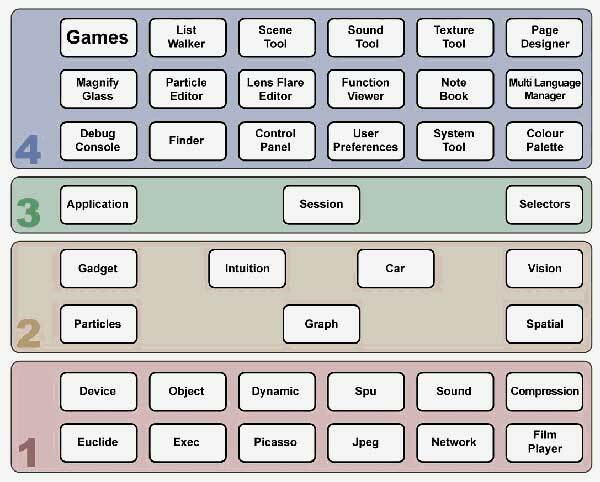 The strength of any big games project, depends largely on the solidity of its technical foundations. Reflect's architecture has been carefully designed. The following diagrams show Reflect's 4 level system. Level 4 refers to high level tools and games. Levels 1-3 refer to low level engines and libraries.